Love it or loathe it, Valentine’s Day is right around the corner, so if you’re looking to whisk your other half away for a romantic trip, look no further than these truly romantic destinations. Nothing says ‘I love you’ like a holiday. It’s a chance to get away from your busy schedules and spend some true quality time together doing the things you love. Whether you’re looking to relax on a beach or explore somewhere new together, Valentine’s Day is the perfect time to do it! 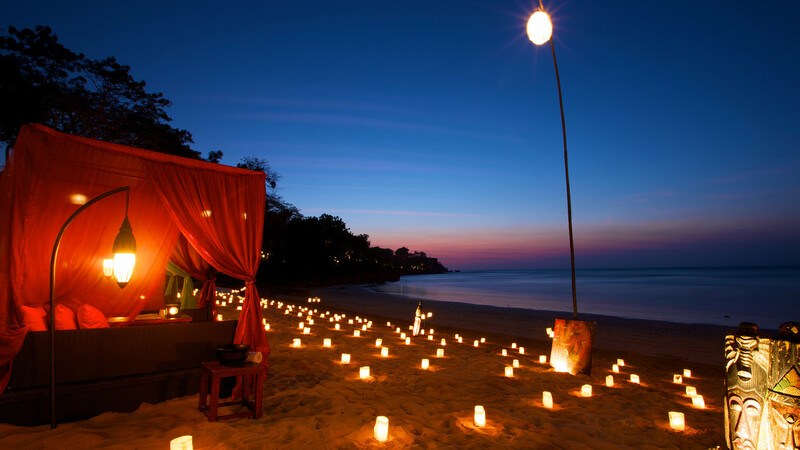 Popping the question abroad requires the perfect romantic setting, as does your first holiday as newlyweds, so if you’re planning to propose or thinking about honeymoon destinations, our top five most romantic holiday destinations should inspire you! 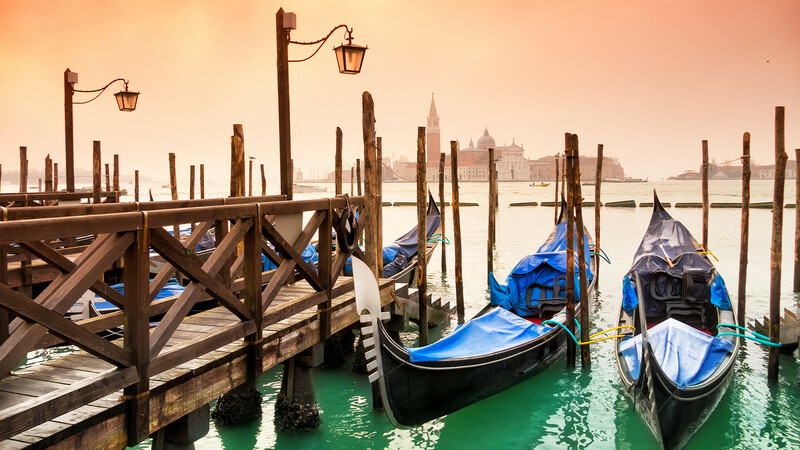 No one does romance quite like the Italians, and Venice is one of the most popular destinations in the world for romance. And the best part is, it’s just a short hop across the Atlantic, making it perfect for a weekend break for two. Venice can be a little chilly in February, around 4 degrees Celsius, but this makes it a great time to explore all that the city has to offer in the form of museums, art galleries and beautiful churches. Wander the narrow, cobbled streets or take a traditional gondola ride down the canals as you take in the stunning Gothic and Renaissance architecture. St Mark’s Square is home to the opulent Basilica where you can head to the bell tower for fantastic views of the cities red-tiled roofs. Eat like a local and indulge in some traditional Italian dishes by going on one of the city’s walking food tours and take an evening stroll along the Grand Canal. The Rialto Bridge is the perfect spot to stop for some pictures together and to get a perfect view of the canal. If you’re heading to Venice for Valentine’s weekend, then you may also catch the start of Carnival 2019, which starts on Saturday 16th. This is a lively and vibrant event which is famous for its elaborate masks, impressive acrobatics and other spectacular performances. Think white sandy beaches, picture-perfect sunsets and scorching sunshine. What could be more romantic? 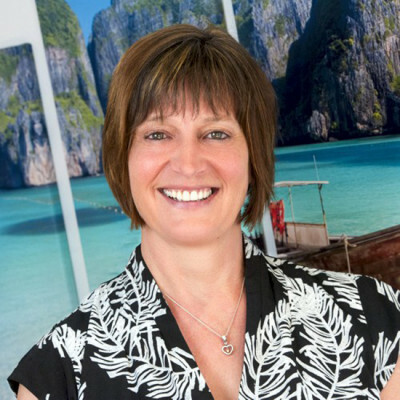 The island of Bali has become increasingly popular over the years for all types of traveller, as it offers luxury and adventure all in once place. The Gili Islands attract millions of tourists each year to its beaches, where you can get the most Insta-worthy phots on the Datu Swing – you can even book a private photo shoot for you and your partner, which makes for the perfect souvenir to remember this romantic trip. Bali is somewhere you can truly chill out and reconnect with one another. You can take part in some couple’s yoga on the beach, try out some couples spa treatments, and chill out on one of the islands beautiful beaches. Tanah Lot offers some fantastic sunset views, while Ubud is home to lots of monkeys and some great markets for picking up a bargain. Kuta is very lively and here you’ll be able to take part in a range of water sports and enjoy a bustling nightlife, so whatever your preference, there’s something for everyone in Bali. 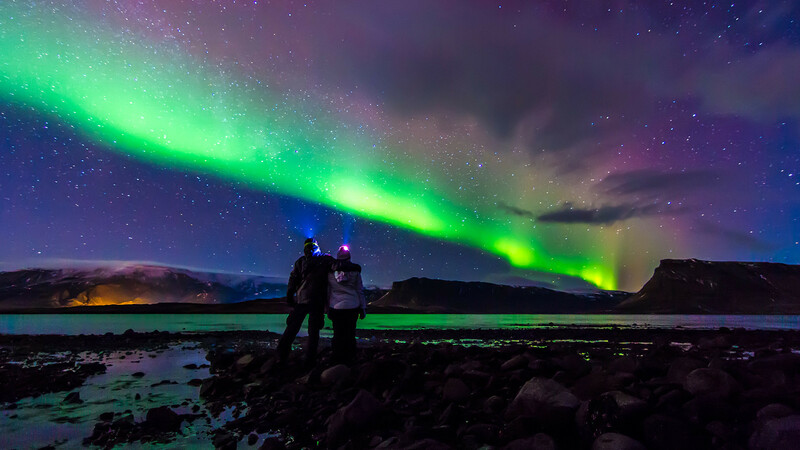 Iceland has so much to offer and is the perfect mini-break for couples who are looking for a bit of adventure. From hiking to sledding, there’s a variety of daytime activities for those who want to get out and about. February is one of the coldest months, however this is one of the better times to witness the Aurora Borealis (Northern Lights), and what could be more romantic than cuddling up under a sky dancing with vibrant greens and blues. If you want to warm up, then why not take a day trip to the Reykjanes Peninula, home to the Blue Lagoon. This is the perfect place for a romantic date as you can both relax in the hot springs and soak up your icy surroundings. Florida is an exciting hub of sunshine and entertainment, from the magic of Disneyland to Miami’s Latino vibes. But did you know you can do one epic road trip in Florida? 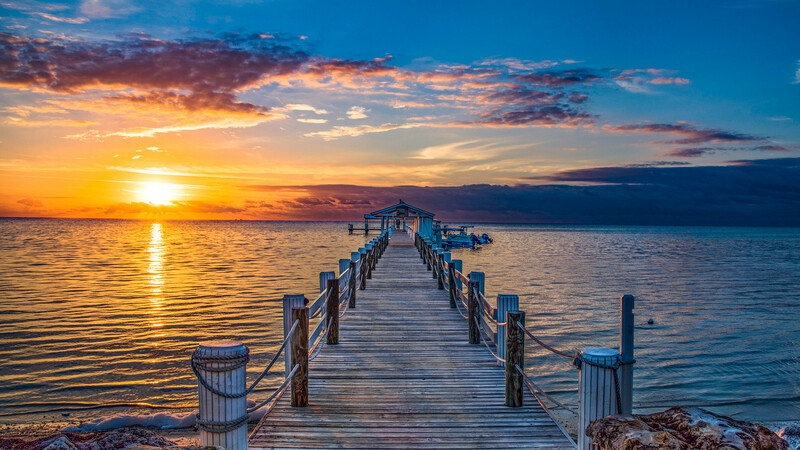 The Florida Keys are a string of tropical islands that run all the way from Miami to Key West, where you can catch the most gorgeous sunsets. Start your journey with some beach time and salsa dancing, before setting off on the straight road down through the keys before finishing your journey in Key West. Key West is the Southernmost point of the continental US, just 90 miles from Cuba. This little island city is famous for its azure waters, coral reefs and rustic style. You can head out on the water for the day with a boat trip that includes jet skiing, parasailing, snorkelling and a variety of other water sports. The seafood here is of course magnificent, so in the evening, you can dine on the pier and watch the sky as it transitions from pastel pinks, to oranges and blues as the sun sets. This is truly the most romantic spot in the whole of Florida. 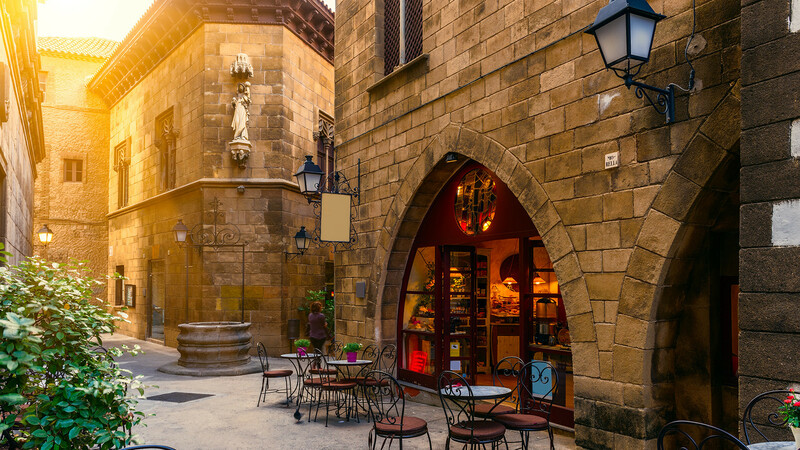 The Spanish city of Barcelona has so much to offer. You have the beach, the city, and the mountains, so there really is something for everyone. Enjoy some tasty tapas in one of the quaint plazas, listen to street music, and browse the colourful La Boqueria market for fresh fruit, herbs and spices. The city is full of arts and culture, and the architecture is part of what makes this city so romantic. You can walk around the city with ease, and if you take a moment to look up at the buildings, you’ll see the work of Gaudi reflected in most of the building’s facades. Major tourist spots also include Gaudi’s colourful mosaic work at Park Guell, and his magnificent design of La Sagrada Familia, the iconic Catholic church which is still under construction. For the best views of this stunning city, you can head to the top of Montjuic castle or the lesser known spot of the Bunker del Carmel, where you can watch the sun set over the city. If you’re visiting for Valentines Day, the streets will be a little quieter as it’s not full season yet, but this is nice as you won’t have the large queues to all the Guadi attractions, the streets won’t be as packed, and you can check out all the city’s hidden gems. Weather is mild, but perfect for getting lost and exploring this magical city. Ready to book your Valentine's escape? Check out some of the latest offers below or get in touch to plan a totally bespoke romantic getaway!